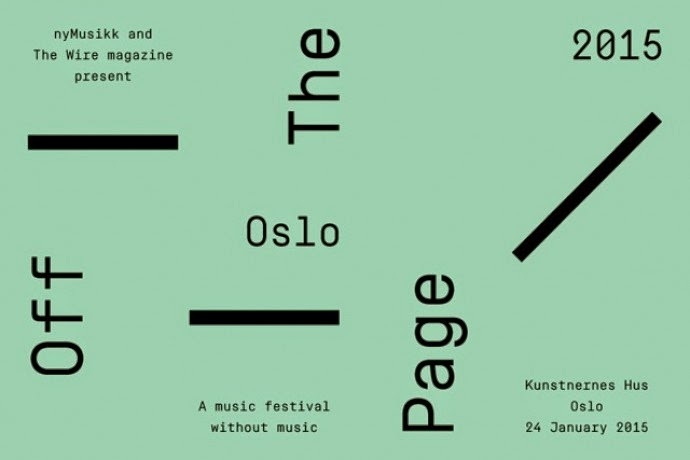 A quick note to note that I been invited by nyMussikk to speak at ‘Off The Page’, a one-day festival about music and writing being held in Oslo on January 24. Presented in association with The Wire, this ‘music festival without music’ (their words) also features appearances by Savage Pencil, Marcus O’Dair, Okkyung Lee and Lasse Marhaug, plus New York ‘No Wave’ legend Arto Lindsay. I will be talking about The Bright Labyrinth and some its major themes. Starting with a remarkable homemade recording made by two drunken high school teachers over half a century ago, I will be analysing the developing relationship between music, writing and design in the digital age, with specific reference to Richard Wagner, Ludwig II of Bavaria, John Cage, Les Baxter, Marshall McLuhan and Norbert Wiener. Keen followers of this blog may remember the time when I spoke at the first ever ‘Off The Page’ event, held in the lovely seaside town of Whitstable – a man threw himself out of the window in the hotel bedroom next to my own. You can read an account of the incident here. I am genuinely curious to see what will happen this time.